Man and Van Lambeth caters to a wide range of general and specialised removal & delivery requirements of private and business customers in SE1 area. The company has extensive industry experience in all types of residential and commercial property removals as well as collection and delivery of commercial goods and certain types of manufacturing supplies. The way we do business is fair and straightforward. Our dedication, punctuality and professionalism have made us a trusted and reliable service provider for scores of customers. In order to provide people with a seamless, hassle-free service we organise and carry out all stages of any removal or delivery project from beginning to end. Households and businesses in SE1 can turn to us for a wide range of services, most of the removal and delivery options we have in store can be modified to suit individual needs and budget requirements, or to include additional options (listed further below). We are licensed to arrange and carry out a number of additional services. These are available in combination with any man and van removal or booked separately. Keep in mind combining services usually saves money, time and effort from using different companies. We understand that there is no margin for error in professional van removal and delivery services, and that safety and integrity of items in our care is always paramount. Because of this we go the extra mile to make sure that our drivers and porters are trained, qualified and ready to do their best every time. Our removal crews take all necessary measures to ensure careful handling and safe transportation of customer belongings from A to B. We are available for booking seven days a week, including public holidays at no change of price. Most services come with good short notice availability. Lambeth is an area of Central London and the principle settlement within the Borough of Lambeth. The district experienced large scale urbanisation, industrialisation and outward expansion during the heydays of the Victorian era. During the necessities and hardships of WWII, Lambeth underwent notable transformation which changed its fabric and layout, forming much of the area people know today. The name ‘Lambeth’ comes from Old English and means ‘landing place for lambs’ i.e. a place where lamb are unloaded and rounded up with the intent of selling/swapping. We have invested into the best lifting instruments because we know from experience that the loading and unloading stages of any relocation are the most laborious. This way we can drastically facilitate things and, quickly load and unload large quantities of items without any complications and costly delays. We also believe that a company is only as good as its tools and this is why we constantly upgrade our moving equipment. Our support centre is operational all day long, so feel free to use it in case you wish to ask questions about our man and van services in Lambeth, SE1. As you have already understood, our removal firm operates in the district of Lambeth, SE1. 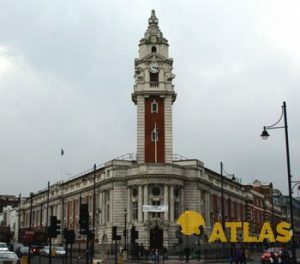 The area lies at precisely one mile from the junction of Charing Cross and is home to a population of about 24.000 people. It is the location of the International Maritime Organisation, which was formed during the late 1950s and is responsible for shipping regulations.